Among the most unrecognized of Niagara’s attractions — and there are plenty of amazing sights, events, and activities that tourists to the area miss — are the Niagara region wineries. While vineyards throughout Italy, France, and California are known the world-over and visited by millions every year, Niagara-on-the-Lake wineries, many of which have won global awards for taste and innovation, do not enjoy nearly the international acclaim they deserve. Niagara Falls is for lovers, and a weekend of wine tasting is just another romantic way to enjoy the area. However, wineries are also excellent destinations for big groups, especially bachelor and bachelorette parties. Regardless of whom you’re going with, here are a few unique and exciting ways to experience Niagara’s remarkable wineries on your next Niagara trip. If you are a winery wiz, you have probably already experienced a few group winery tours. These excursions put a group of wine-minded strangers together on a bus and shuttle them from winery to winery, with organized tours and tastings at designated spots. 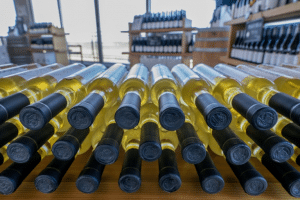 The Niagara region boasts more than a few of these familiar, traditional winery tours, and you can easily sign up for more than one to fill a week or weekend with wine tasting fun. There are pros and cons to this winery tour format. When you register for a tour like this, you can be certain you will have time to stop at a few of the best wineries in the region, and there will be knowledgeable experts on hand to explain the history of different vineyards and vintages. Plus, the bus itself serves as your safe transport from place to place — as well as back to your Niagara Falls hotel headquarters. On the other hand, these traditional tours often lump your group in with 10 or more other tourists, whom you may or may not get along with. Further, you rarely get the option of choosing which wineries to visit in a single tour, which means you might have to register for several tours to reach the wineries you care about, and you’ll likely visit one or two you couldn’t care less for. If these sound like deal breakers, you might consider another option on this list. Of course, you can organize your own winery tour using online information about Niagara-on-the-Lake wineries and your own vehicle to carry you from one to another. This way, you see all the vineyards that excite you and none that don’t, and you can move along at your own pace. Additionally, you are surrounded only by those people you traveled to Niagara with. Still, there are some downsides to this plan as well. First, by choosing your own winery stops, you might miss out on a hidden gem or never learn some fascinating information about certain vineyards. Second, there is no guarantee that your plan will bear fruit; perhaps your chosen winery is booked up for the day, closed for the season, or otherwise inaccessible. Finally, you must consider safe driving practices: Who in your party is willing to stay sober while so much good wine is passed around? A self-guided trip might save some bucks, but it also might dramatically impact your experience. If you love the outdoors, enjoy stretching your legs, and can’t get enough fine wine, perhaps a wine bicycle tour is right for you. 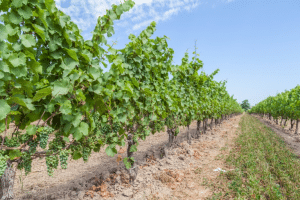 On these excursions, a tour company will provide a bicycle (as well as appropriate safety gear) and a tour guide to lead you through Niagara’s gorgeous wine country, visiting important wineries on your way. The ride is scenic, taking you through some of Niagara wine country’s most stunning grape fields as well as quaint towns and verdant forests. Plus, the ride tends to help you sober up between tastings, so you can enjoy your full day of wine and outdoor fun with a clear head. Wine tasting tours tend to provide information on individual vineyards and wines, with precious little background for wine tasting novices. If you want to delve deep into wine culture before you are let loose on wineries, you might consider signing up for a wine-related course. In the Niagara region, some wineries host classes to educate the public on proper wine tasting, pairing, and crafting techniques, but there are also independent courses taught by wine experts around the valley. Alternatively, if you find it likely that you’ll leave a few wineries with bottles in hand, you can sign up for a wine cooking course. In Niagara-on-the-Lake, Wine Country Cooking School is dedicated to teaching any level of cook about the delicate art of cooking with and around wine. You’ll have hands-on instruction in building multi-course meals around different styles of wine, so you can leave Niagara with a skill bound to impress friends and family — at least those who didn’t attend the class with you.